Our Pulse new music series is here to do exactly as it says on the tin in providing you with new music that you need, not just in your life but to keep your own pulse going. With each edition Morgan Roberts aims to bring to your attention eight new bands, producers, rappers, singer-songwriters, and anything else from everything else. 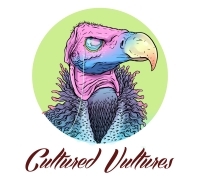 These new musicians will come from all genres, all walks of life, and all over the place.In a music media oversaturated with the established and the forced down your neck (in your ears), Cultured Vultures is here to help not just you out in finding the music that’s being hidden from you, but to help the newest of the new music to get to the audience they’re getting kept from. Have a scroll through an edition or the lot, we promise we’ll find something you like or even a new favourite.